We recently added another credit card to our household. We’re heading down to Florida for a family Spring Break. Since we’re flying Southwest Airlines for the first time, we get a big bonus by opening up a Southwest linked card operated by Chase. When I opened up the envelope and saw the details, I had a bit of sticker shock. How? They had given me a credit limit of $26,000! It made me wonder if companies are offering too much credit. My wife and I have great credit scores, both well north of 800. We buy almost everything via credit card, to maximize rewards. We’re not surprised when we get approved for high limits. Still, the $26,000 limit was way higher than I’d ever seen. Still, I started thinking about how the limits have been steadily increasing each time we’ve opened a new card. These are just in the past couple of years. Costco American Express. Our first AmEx card was the Costco branded card that came out a few years ago. This was the first time we’d gone considerably over $10,000 for a limit. Costco Visa + Blue Everyday American Express. When Costco switched our card to their new Visa branded card, the limit stayed the same. American Express also wanted to keep our business, and offered us a great deal on a Blue Everyday card. They matched the credit limit on our old card, meaning we now had double the limit between the two cards. Available Credit. When your credit is pulled, I’ve heard that one of the factors used is your available credit. If you have $100,000 available, another lender might be reluctant to give you more. This would mean you could get denied for a loan or be charged a higher rate due to the perceived risk. Obviously this hasn’t been the case so far for us given the new limit, but still something to consider. Used Credit. One benefit of having a big pool is that, as long as your usage is consistent, you’re using less of a percentage of your available credit. So, let’s say you max out at $5,000 on your cards. If you have $20,000 in available credit, you’re using 25% of your credit. But if you have $50,000 in available credit, you’re using only 10%. It’s my understanding that using a high percentage of your available credit is actually a flag. I ended up reducing the Southwest card and our American Express card by a total of $30,000. We’ll never use this amount of credit. Even with the lower amount, we’re still using a very small percentage of our credit. So, I think it was the right move. Two of our credit cards allow us free access to our FICO scores. I keep track of it about every month. I’ll be interested to see what might happen when the dust settles, to see if my score goes up or down or stays in the upper range that we’re used to. 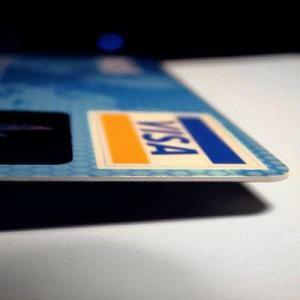 Readers, have you noticed credit limits offered by credit card companies to be on the rise? Have you ever requested a credit line decrease? Let me know what you think of our moves and such in the comments below. Have You Observed Gender Equality During Your Career? Interesting post. I’ve never paid much attention to the “available credit,” since I charge only as much as I can pay at the end of the month — and pay all CC bills in full as they come in. Still, my credit score is also well over 800. The thought of 30 grand in credit card debt makes my head hurt!! I’ll be curious to see the impact. Your credit score will likely drop. Since we paid off our mortgage a couple of years ago, and closed some credit cards, our credit score has slowly but consistently gone lower. By about one hundred points so far. I’ll definitely be keeping an eye on it. For the longest time I just had 1 credit card and they increased my limit to close to what my salary was at the time. I wasn’t thinking of credit score calculation just that it was a lot of money. I called, asked that it be lowered and said that if I wanted an increase, I’d call them. Considering I’ve been approved for a mortgage doing that almost 10 years before seems to not have done damage to my credit score. Several of my cards keep offering to increase my limit, I keep saying no. I do get it, interest rates have been low for so long and the banks need people to use the cards to make money. I just don’t think we need more unsecured credit, we already have more than a year’s expenses worth. That’s pretty scary as is. I guess as long as you don’t use it, you’re fine, but it is scary that it’s even out there. Good work on refusing the increases. I’ve used some high limits when using the 0% introductory offers and that was nice to arbitrage interest rates. I’ve also decreased limits to get other cards for sign up bonuses. It’s all a game. The credit card company is betting you will overspend and then have to pay interest. We are betting we won’t. For the average consumer it is probably a bad thing that credit card companies are giving so much credit but at least the federal government isn’t buying up packaged credit card unsecured credit like they were in the housing crisis with subprime mortgages.